The preschool years are a time of such incredible change and development for children, and finding that perfect gift for kids aged three to four years can be a struggle. We’ve taken the time to source some of the best gift ideas for this age group, so click through to see what you can cross off your Christmas list. Make-believe is such an important learning tool for children in this age group, and the ‘Lil Fairy Door provides the perfect opportunity to indulge in some imaginative play. Just attach the beautiful little door to a wall or place it atop a shelf, and let your child’s imagination run wild! The doors are handmade and hand painted – in either pink, purple, green or yellow. The ‘Lil Fairy Door comes with a bottle of fairy dust and a fairy pack. It costs $36 and is available from The Little Homewares Company. If your child is starting kindergarten next year like my eldest, there’ll be a whole host of special “little school” related items that are on your Christmas list. A Stephen Joseph Lunch Pal is a handy lunch box, with a few little extras. First of all, it’s cute – that’s a given. It also has two compartments, so you can separate morning tea and lunch. 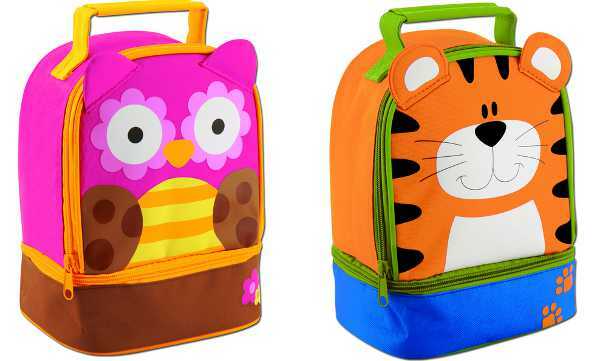 They come in adorable characters including an owl, butterfly, monkey, tiger and dinosaur, and cost $29.95. The Lunch Pals are available from Haggus and Stookles. Here’s a fabulous gift that will keep on giving all year. 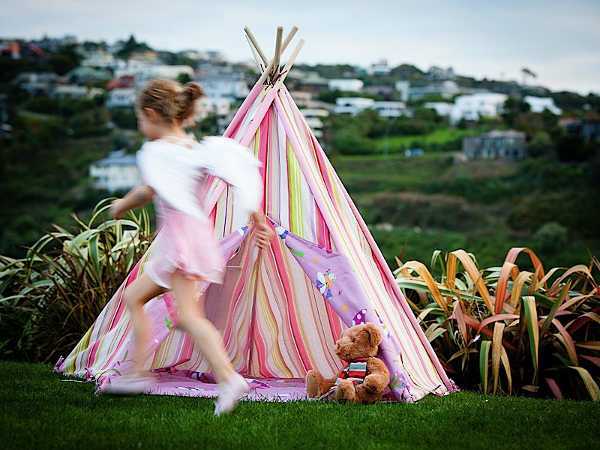 The Kids Teepee is super fast to assemble (a blessing on Christmas Day), and can be used indoors and outdoors, as it’s made from high quality cotton canvas. So it’s wonderful as a rainy day inside activity, or a beautiful spot to bask in the summer sun. It comes in a variety of patterns, including fairy pink stripe and cowboys. 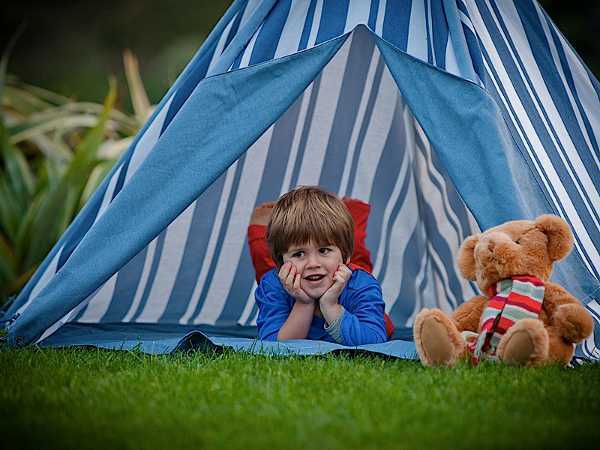 The Kids Teepees are available from Denim Baby for $99.95. At this age, children love learning anything and everything – especially their ABCs. The Learn The Alphabet Wall Stickers create a beautiful learning environment. Each letter is accompanied by a character that will help your child learn how to use the letters of the alphabet. Each letter block and matching character come in separate pieces, so you can arrange them as you’d like. The other great thing about these fabric wall stickers is that they’re removable. 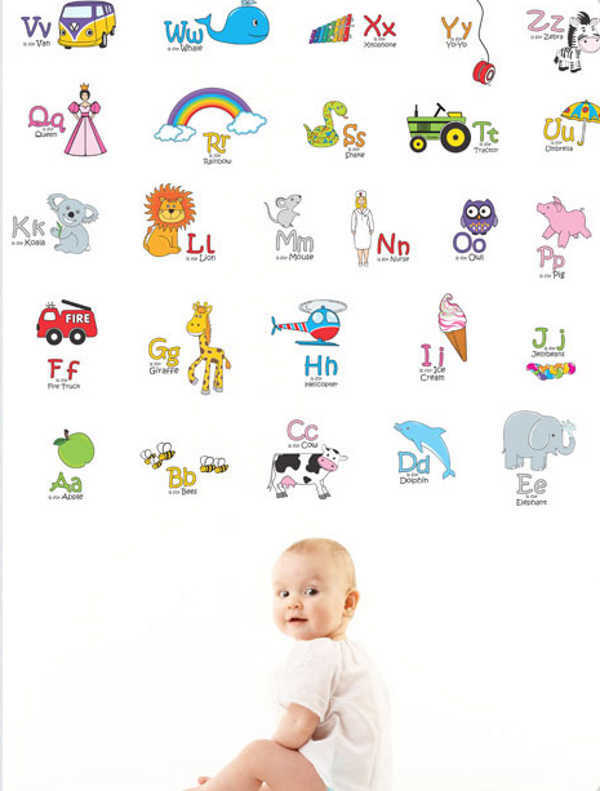 A set of Learn The Alphabet Wall Stickers, which includes four jumbo sheets, is $59.95 from Bright Star Kids. This age group is also a time for learning independence. The BabyBjorn Booster Chair makes for a smooth transition from sitting in a high chair, to joining the rest of the family sitting in chairs at the dining table. It gives children the perfect height to be able to sit in a normal chair, and is also easily portable. The Booster Chair is a breeze to clean and is compact enough that it can be packed away after meal times. It’s $89.95, and stockists can be found at BabyBjorn. Boys and girls just love to help out in the kitchen, but at this age, there’s a limit to how much they can actually do. A kitchen of their own is the perfect distraction, and this is as gorgeous as they come. The Hip Kids Retro Toy Kitchen set is terribly cool and chic, and has every little kitchen nook and cranny and child could want. It’s beautifully crafted with a sink, oven, stove and fridge. 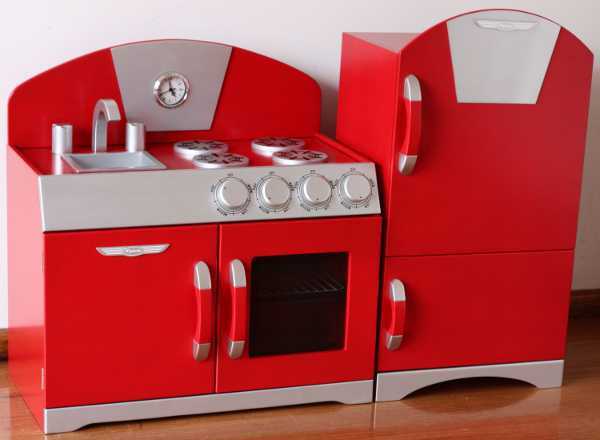 Available in red, white, pink or blue, this stunning retro kitchen set is available from Hip Kids for $299. 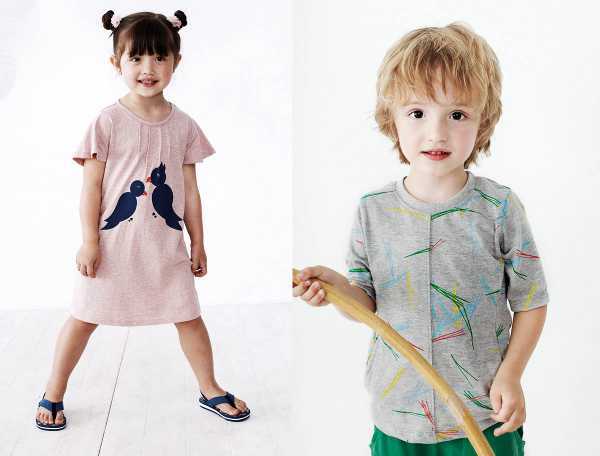 Every child loves something new to wear on Christmas Day – and these organic cotton delights from Baobab make for the most stunning special day attire. For the girls, the Dusty Pink Parrot Dress is cute and comfy for a warm Christmas, as it’s made from cotton knit. Front pleating and bell sleeves give it a point of difference . 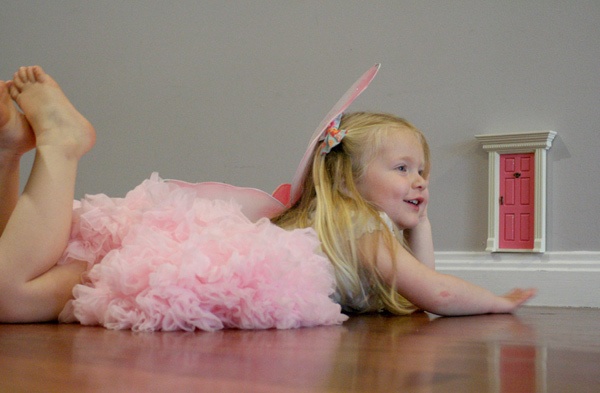 It’s $44.95 and is available from size two to six years. The unisex pocket tee is perfectly coloured to suit the holiday season, with a highly original feel and hidden pockets. It’s $39.95, and comes in sizes two to six years. Both items are available directly from Baobab. Finally, here’s one for the little ladies. A beautiful bag to tote around all manner of Christmas goodies. The Milk & Soda Ava bag is a statement piece, in bold and bright colours, and made from leather. The bags look plush and rather fancy with their quilted finish, and I’m sure any young Miss would adore finding one of these under the Christmas tree. They cost $59.95 each, and are available from Skip To My Lou. Don’t miss our other Christmas gift guides There’s something for kids of every age.